A chat with Retail Pro International, provider of the gold-standard retail management software, on trends, platforms and retail. Before the Internet, multichannel retailing was something known to only a handful of major national retailers, and the channels were limited to primarily brick and mortar and catalog sales. Today, however, consumers have more choices than ever when it comes to how they interact with their favorite retailers. The prevalence of m-commerce and e-commerce purchasing has become commonplace right along with stopping in at their favorite stores. This new consumer landscape has created some significant challenges, as well as generated numerous new opportunities for retailers. The new basis for retail interaction with today’s consumers spans all channels for the retailer including, brick-and-mortar stores, catalog sales, a website or even through their smartphones. A retailer is now challenged with providing the same user experience across all channels to provide a seamless experience regardless of where the consumer may be engaged. At the same time, as more retailers court international customers through their online presence, they are exposed to added complexity in terms of international tax structures and fulfillment. Navigating this complexity alone, especially in today’s omni-connected world can be daunting to say the least. Having a partner in the game like leading global provider of retail management software, Retail Pro International(RPI), can make the task much more palpable. 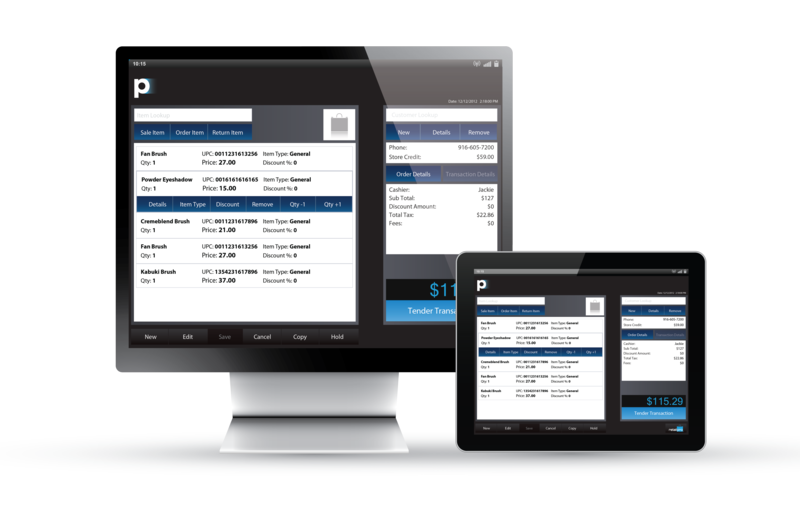 For more than 25 years, RPI has provided retail management software solutions and platforms which cover point of sale, customer engagement, store operations and back-of-store management, and e-commerce, through its Retail Pro® products. In recent years, Retail Pro International has become an even more important partner to its retail customers as retail strategy complexities started growing in geometric progression. “As businesses evolve in response to market needs and rapidly changing consumer expectations it becomes critical for the retailer to evolve their business, break down operational silos and adapt; that’s where we come in,” said Director of Marketing for RPI, Alexandra Frith. The native adaptability in Retail Pro is the reason Retail Pro International’s software platforms are used in more than 54,000 retail stores in over 95 countries, and the company continues to evolve to address the expansion and needs of retailers as they grow their businesses. 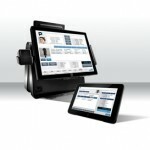 Frith says the Retail Pro software is a perfect fit for growing retailers. Whether a retailer is just starting out or has an operation that spans many regions, including expansions as franchises, Retail Pro can address the complex needs the retailer will encounter across their business models. Director of Product Strategy at RPI, Kevin Connor, says retailers have traditionally been forced to maintain one software platform for each ‘channel’ of their business – one platform for point of sale, one for e-commerce sales, one for mobile sales, etc. The Retail Pro platform, on the other hand, gives the retailer a platform that can support each of the channels with one integrated product suite. Retail Pro offers platforms that are both environment-agnostic and hardware platform-agnostic, allowing one product to create a more efficient management experience for the retailers and a more pleasant and predictable shopping experience for customers. Frith says another major component of RPI and its expansive Partner service network for their customers is helping them translate trends into actionable retail strategies. For example, she says, last year many of the company’s customers and prospects were abuzz with the idea of omnichannel retailing. The concept surfacing everywhere in the media was the new buzzword then, without much more information about the details. “We found ourselves in many conversations about this new trend. It was almost an exercise in quelling fear because everyone wanted to know that they had the capability, but only a hand-full of retailers knew how it related specifically to their business,” Frith says. The idea of omnichannel was prevalent in the retail world but had many definitions. For some of its major customers, Retail Pro worked closely with them to develop a concise definition of what omnichannel meant for that retailer. Then taking this plan, they developed a software experience using the Retail Pro platform that erased the borders between channels to create a seamless experience for shoppers that also fit the retailer in the most effective way. Connor says the company’s flexible approach to retail management software allows the retailer to have the system that serves the needs across all environments. Whether a retailer is enlisting endless-aisle kiosks or embracing mobility to serve the clienteling needs of their customer engagements, they can do so. This is made possible by the company’s commitment to delivering one holistic system that ties together all aspects of retail into one seamless platform. The company’s international DNA serves as a perfect platform for business. Frith stresses the company’s international expertise, saying Retail Pro provides world-class solutions to its customers around the globe, enabling borderless retailing. “That proves to be a huge strength to any retailer who aspires to be international,” she says. Further highlighting this point, Connor says the majority of domestic retail software is based on the local tax regulations, limiting their applications in other markets. Retail Pro International’s solutions can support all tax structures around the world, he says, making it possible for retailers using Retail Pro to maintain one system for all geographies. “Something that we pride ourselves on, is seeing ourselves as part of the global retail community,” Connor says. The retail community is a unified community. Today, the concept of borderless retail speaks not only to retailing across geographic borders, but also to disappearing borders between online and brick-and-mortar. Brands want consistency of presence across markets; customers want the completeness of the shopping experience across channels. Both require ongoing effective innovation. In addition to optimizing experiences, effective innovation also encourages adopting more efficient operations and procedures, positioning retailers to add value in two directions at once by streamlining costs and improving customer loyalty simultaneously. Posted in the March/April 2015 issue of Retail Merchandiser magazine.